When it comes to collecting the stamps, one of the most interesting and mysterious questions is the way and order topics choice by countries and organizations while issuing the stamps. 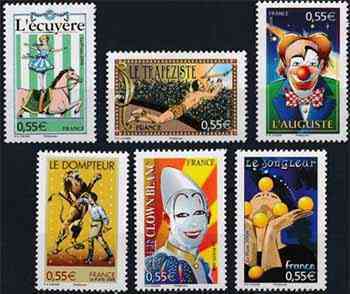 PostEurop's Stamps & Philately Working Group selects the EUROPA stamp's topic annually. 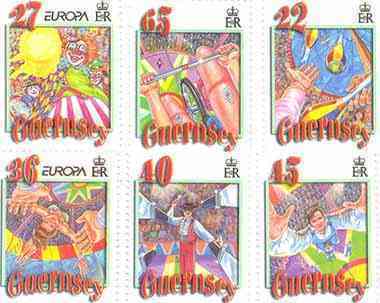 Postal authorities of each country have a chance to take part in the EUROPA stamp's selecting, and it is enjoyable to see what design is proposed by each country. Finally, Gibraltar showed the compilation of the most famous circus clowns in the world. An Englishmen Joseph Grimaldi (1778-1837) was among them as one of the most famous from this country, he's London-born but has English and Italian roots. Karl Adrien Wettach (1880-1959) also known as 'Grock', the clown of Swiss origin. Nicholai Polakov OBE (1900-1974) 'Coco the clown' the most important figure in circus art in the middle of 20th century, widely known in Britain having Latvian and Jewish origin. The last one is Jean Hubert Charles Cairoli (1910-1980) born in Italy in a French family.